Stoutbot, a novel starring Stoutbot Industries's namesake, is now available for sale on iBooks and Kindle! Star Francisco. A city so accustomed to war that it's forgotten how to live in peace. 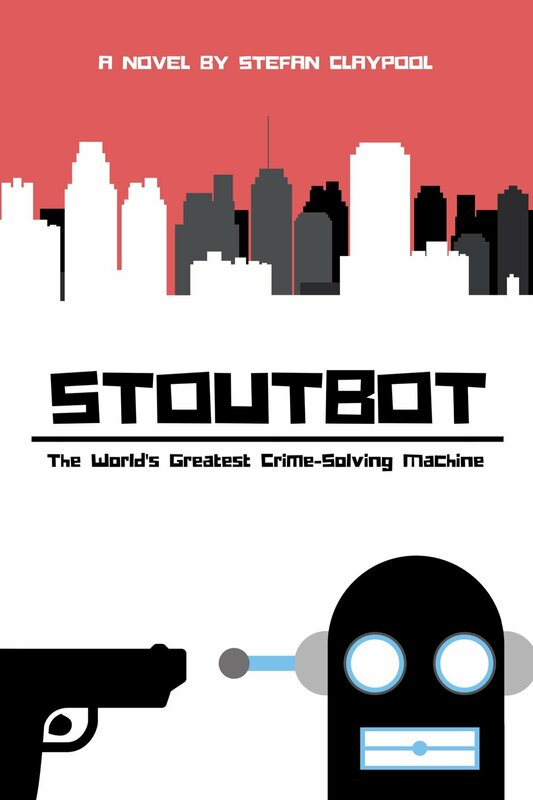 When a murderous android escapes from prison and sets his sights on his ex-business partner, the Star Francisco Police Department calls Stoutbot, the city's most famous and eccentric crime-solving machine. With his partner Ben Quasar, Stoutbot begins an investigation that quickly threatens to spiral out of control as some of the city's most powerful people find themselves in the crosshairs. Vince McMahon's consolidation of power in the wrestling world was not a clean process, nor did it happen in the blink of an eye. All across the country, promotions held on until the bitter end as proud entrepreneurs clung to their dreams in the face of history's inexorable march. But the rise of the WWF and its ultimate victory in the North American wrestling world did not mark the end for the small promotion, but merely a point of demarcation. Those that emerged in the aftermath of consolidation have markedly different objectives and offer a substantially different product than those that held on in the 1980s and '90s. To understand those that have built the new world - and to assess the opportunity available to the upstart AEW in 2019 - it is valuable to start by looking at the old world. In this episode, we explore three of the old guard - the AWA, WCCW, and ECW - each of which changed wrestling, but proved incapable of living in the world they made. In this episode: Stefan and Drew take their destiny into their own hands. WWE is the biggest American wrestling promotion, but it isn't the only one. In a post-WCW world, the independent wrestling scene has flourished, reaching audiences via digital distribution and differentiating themselves from the big dog. But what does it mean to be an independent promotion - or wrestler - in 2018, and is the industry's history of consolidation doomed to repeat itself? In this brief special episode, we discuss our thoughts on tonight's NXT Takeover event and whether the time is right for Johnny Wrestling to become Johnny Champion, among other topics. One of the primary objectives of any wrestling performer is to distinguish himself or herself from the crowd. In a primarily visual medium, costuming and ring attire are effective tools for standing out from the cavalcade of similar looking athletic performers. Costuming communicates critical information about a performer's character and may play an important role in helping a wrestler get over with an audience. In this episode, we dive into the clothes that make the men, and explore what the choice of attire says about the performer. Here at Stoutbot Industries, we're focused on bringing you deeply insightful commentary on media and culture, and certainly not interested at all in just messing around with friends and talking about things we love. We are sober-minded professionals, not the sort of people who would spend hours on bantering about the meaningless and banal aspects of popular culture. We're certainly above that! Don't believe us? Well, have a listen to one of our fine artisanal podcasts and decide for yourself! Cinema Excelsior is a chronological exploration of films based on Marvel Comics. From the heady days of Howard the Duck to today's premiere blockbuster franchises, our roundtable dives deep into the history and significance of the House of Ideas's cinematic output. Smarten Up is a conversation about the tropes, traditions, and history of professional wrestling. Whether you're a long-time enthusiast or a new fan, our conversation will help you learn more about one of the world's most influential and misunderstood entertainment genres. Hi. Trying to get rich? Searching for ways to try to stick it to The Man and make a buck too? Wondering if you left your wallet in the oven and if you left the oven on? Then check out Investors Needed, your guide to greasing the wheels of progress. Consider this our proposal to you. Hi. Nick Bestor (@Bestorb) is PhD candidate in film at the University of Texas. Hosts Cinema Excelsior. 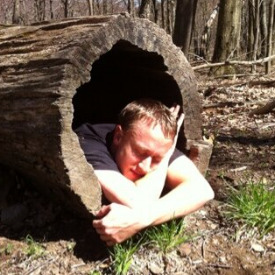 Derek Long (@DerekLong08) is a PhD candidate in film at the University of Wisconsin-Madison. Hosts Cinema Excelsior. Daniel Watson-Jones (@movebywillalone) is a seeker of truth. He currently aspires to become a Yoda. Hosts Cinema Excelsior. Stefan Claypool (@StefanClaypool) is a product Manager and aspiring novelist currently residing in Berkeley, CA. Hosts several shows. 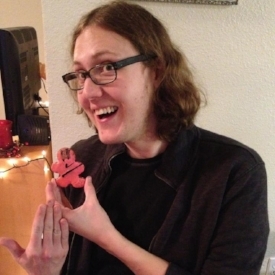 Patrick Regan (@underwoodfive) is a screenwriter currently based out of Los Angeles. He was also a featured extra in Jonah Hex. Hosts Cinema Excelsior. 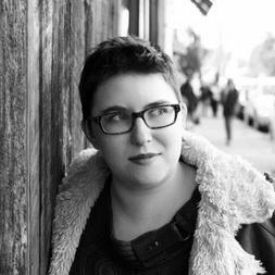 Lillian DeRitter (@lillianlemoning) is a writer, director, geek, gamer, comics and Shakespeare hipster, and, every now and then, a girl. Occasional host on Cinema Excelsior. Nick Smith (@WhoIsNickSmith) is a stand-up comic currently based in Madison, Wisconsin. He is a man of at least three hats. Hosts Investors Needed.